Focusing that everything was a lie, and an illusion, will only serve to hurt you further! For many people, they start reading about sociopaths through doing a search for ‘compulsive liar’ or something like this. Or at least I did, this is where I started off. There are liars, and then there are liars. Sociopaths have the ability to lie that is beyond the scale of anything. If you have been involved with one you will be aware of this. They are compulsive pathological liars. Betrayal is one of the most hurtful things that a human can experience. It is more hurtful, when the betrayal comes from someone that you love, look up to, admire. When someone that you thought a lot of, betrays you, it can feel like a stab in the heart and the back at the same time. Coming through the fog of confusion, when you are either in the relationship, or just leaving the relationship, it is normal to want to search out answers. You desperately need the answers to questions. WHY? After all, so little makes sense? The more information that you gather, the further that you delve, and the more truth that you uncover, that expose the lies, the deceit, the betrayal, you can feel empty, lost, bereft, heartbroken, betrayed, stunned. This is when you go into the first stage of bereavement. ‘Denial’. At this point, we search for evidence that this it is NOT true. You don’t want it to be true. This cannot be happening? Perhaps you have it wrong? …. The more that you uncover, the more lies start to unravel, and you are stunned at the truth, that actually – everything was a lie. You realise that what was shown to your face, was certainly not what was happening behind the scenes. The actions were definitely not matching the words and gestures that were shown to your face. You feel betrayed and deceived. To move towards acceptance, you need to accept the truth. For many, this is to hang on to the truth that so much was a lie. If you focus on everything being a lie, this means that however long you spent with that person was a pointless exercise. Nothing in life is a pointless exercise. While there are many events in my life, that I wish had never happened, I cannot change those things. They have happened. When you focus on the lies, and betrayal, you actually keep that person attached to you. You do not set yourself free. Focusing on fakery, keeps you in the role of victim. This is painful. You deserve more than this. They are the fakers, the takers. You are not. This is their role to carry. Not yours!!! To let go, so that you can grow, you really do need to forgive. To forgive, it is important to see it for the way that it is. Yes, often the sociopath does target people who would be good victims. However, it isn’t always like that. They are not always that long sighted, unless there is an obvious opportunity that is difficult to miss. Sometimes they are with someone for genuine reasons. Those reasons, might to you, seem trivial and being an object to be used. But to the sociopath, this is really the best that they can offer. They are not really capable of much else. In their mind, they spend a lot of time ‘grooming’ you, and therefore they deserve whatever bounty they get from the incredible amount of effort that they put in. (anybody who has been with a charismatic sociopath will be aware of how charming, charismatic, fun, and just your ‘best friend’ they can appear to be). It can be difficult to let go of that illusion in your head. Remember that I outlined the five stages of grief and the healing process? This hurts. It hurts like hell. But, we tell ourselves, that if we focus on ‘it was all ‘fake’ then this will protect us. After all, it wasn’t real? Right? Well, YES it WAS real!! It was real to you. In fact, even for the sociopath it was real. Yes, they master manipulators and game players. They are expert at this. Life is a game to them. It was as real to them, as it was to you. Of course you both had different motives. The sociopath was looking for whatever it was that they wanted out of the relationship, and stayed for as long as they could get it, or until a better source of supply came along. This doesn’t mean that it wasn’t real. It was real. It did happen. It was as real to the sociopath, as it was to you. Perhaps it was real to the sociopath for different reasons. The biggest difference is that you were thinking with your heart – and they were thinking with their head. It is rarely personal with the sociopath. They don’t always set out to hurt you. It is just their nature and who they are, that means that they do hurt people. They do not experience emotions, guilt, remorse or shame. They therefore do not think about you, or your feelings. This is not important to them. What this DOESN’T mean, is that you were not important. You might have been important to them (at that time). I think it was Thomas Sheridan who said, that a psycho can rip you off, destroy your life, and then look back later and say ‘I quite liked that person’ it is rarely personal. It is just that you were dispensable to the sociopath. To them, it is akin to a business transaction. You might be able to relate this to how you are at work, when you have to be nice to someone that you do not like? You have to be nice, polite and professional, as this is the way that you need to behave at work. This is how sociopaths see relationships. Like a business transaction. They do not think the same way that you do. They do something for as long as they see the purpose and benefit of it. Once the purpose and benefit is gone, they are gone. People do not become emotional at work, this is not professional. It is business and you are there to do a job. Sociopaths see relationships like this. Sometimes they might genuinely enjoy your company. Yes, they might mean it when they say that they had some great fun times with you. It might therefore seem confusing, when next day they are off with someone else? It doesn’t mean that the statement, they had fun times with you is not true, it just means that they had fun times with you, they are now having fun times with someone else. So if you do not focus on everything was fake and a lie – what should you focus on? Perhaps focus on incompatibility. That the sociopath is just the way that they are and that they have always been this way and likely they will in the future, also always be this way too. You know how sometimes you can have two people, who are just ‘incompatible’, everything is wrong you fight and argue all of the time? It is like this really. Because of the way that the sociopath is, they simply cannot give you what you want. Unless of course, you want to spend the rest of your life being duped, conned and deceived? Life is ALWAYS a game to the sociopath. You would only lose yourself, and your own life. There would be no room for YOUR own goals and projects, life would all be about making the sociopath happy. It would always be about them. Likely you would never make them happy anyway. If you look back, it never really was about you. It was always about them, and their needs. So, just focus that you were not compatible. See the truth – the truth is that the sociopath faked compatibility. Everything else was real. At least it was at the time. The truth was, that you think with your heart, and they think with their head. Its not really compatible. They can never really give you what you want or need. When you focus on faking, and that everything was a lie, this can be so painful. It will make you believe that it was all about betrayal. That nothing was real. This will only reinforce your belief that it is difficult to trust. It is important to move past that sense of mistrust, as this belongs to THEM not YOU. This is their issue not yours. They are the ones who are untrustworthy, not you. How they are, is a reflection on THEM – NOT YOU! This was never about you, and how worthless you were. To believe that everything was a lie, and nothing was genuine, and that it was ALL about betrayal – is really as ridiculous – as believing that somebody who suffers with depression, can never be happy!!! (think about it)! The truth was, you split – because you were just NOT compatible. 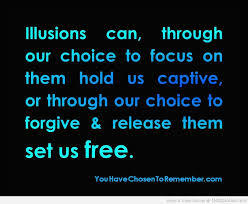 THIS is the ONLY illusion that you need to focus on!! F whilePerhaps I went thru a more damaging experience but I’m not able to see any reason or means of overcoming the pain. I see like a black hole up ahead as my ” reward ” for “moving on”. I got bombarded with all those self righteous terms…like how I “allowed” it….or how he’s over there laughing while I can’t stop crying, or im giving him all my power etc or,why do I care what he thinks or what they say….because it all affects my life. No one stood up for me and I did not have enough power, money, family, connections, status, youth or career, really not enough of a “life” 2 fall back on or 2 support me. Hi guppie how you are feeling is normal. I felt this way too. When someone pushes you down and makes you feel insignificant and unworthy it can take a while to find yourself again. I know that you say up ahead is a black hole. Try not to focus on what lies ahead instead focus on right now. Oh my goodness, how wonderful to hear from you. Im so grateful, the isolation has been incredible. I don’t know about a more damaging experience we are all different. I dont think it’s possible to be more damaged than I was my experiences left me so damaged that I had no comprehension of the outside world for more than 3 years. I lost every penny I had lost my home of 15 years, was isolated from everyone. My daughter died in a horrific way, she was cut out of me, I lost my career my job I was in for 10 years, I lost friends family I had no life at all. Buried my daughter and my grandmother in space of a year. Was physically mentally financially abused, humiliated threatened. I lived in so much fear I became agraphopic frightened of people wouldn’t leave the house. The cognitive processing in my brain went. …. So maybe? I have to pay a hard price starting.tomorrow. I missed a court date thinking Jun 9 was tues instead of Mon. Now I will have to turn myself in and go to jail. My sister who is the only family or relative that I have bonded me out but I missed the court date went on the wrong day.but im homeless and can’t keep track of anything. She won’t talk about any of it but had tried to help me get a camping trailer to live in. I did that thing of trying to talk & explain everything to all kinds of people and made it worse looking crazy, obsessed etc unstable just like he said. He planned it very well, very cunning. When I saw how bad the trap was I gave up on myself I think. Where in the world do you live guppie? Yes they make you look crazy but the people who believe it well they were not genuine people in your life and it is always good to have a clear out however painful this is to let go. Yes they are very cunning and manipulative. The court do you have any legal representation for you? Are you seeing a doctor? You are 60 and homeless and could be considered vulnerable. Try to sort out what it you can, take it one day at a time and keep your world small. I see the hope and recovery in others but feel like inside me feel hopeless . Im so much older they won’t understand. He was all I had, sort of my last chance. I thought I deserved love and respect, that he was lucky to have me but when the gaming & devalue and violence kicked in I was lost. My next post will help you I think. I am going to write about how to move forwards you have to go BACK to BEFORE you met him. You said something important there… You said YOU THOUGHT HE WAS LUCKY TO HAVE YOU. Get a pen and a piece of paper and you write that down. Next I want you to look at what was your life BEFORE you met him? What were you doing in your life? Why did you think he was lucky to have you. I promise you that you can get back to this person this is still you and you are NOT old!! I have been spending some time on my own healing and recovery. This has been essential for me. To go back to where I was before I met him. To my own life. As there lies me. I am reconnecting to things that made me happy. Before any of it happened. Do you have any passions what about friends or family you had before him. Nobody can change you only temporarily and you can always be fixed. I was left after 6 yrs. But lived n worked in the bad _the only people I saw or knew were all caught up in drugs, crime, poverty ugly using brutal people….I never been around it till I met him, my sister said I can’t handle evil people and I can’t be around them. They took bad advantage of me, lied, stole, exploited, bullied me, talked behind my back and they followed.HIS lead. I stuck to them after discard thinking they were my friends. The most important thing to do is to let go of ALL of it (as much as you can) none of it is good for you. Associate with whoever and whatever was there in your life BEFORE him and you make this decision not him. This is not loss it is gain. You will gain your self respsect tell yourself you didn’t have those people in your life BEFORE you met him and you will survive much better without it now. Make this your choice take back the power and control for you today. U know how we read & write a but out of order. I know what u mean about who I was before him. And really much of the time with him. It was the last year of on n off us the NC time after where I kind of became so bad cuz I wondered what he saw in me that was all these bad things to best me with his fists and accuse me of such untruth? I don’t have legal help. I live in Colorado In the USA. I’m well educated and love nature, the mountains, animals and trained horses for many years….books, music,art,helping.g others with whatever I can. I thank your beautiful heart and clear mind. I’ve admired your work. I am pleased that you have your passions to gain joy from nature, mountains, horses… When was the last time that you spent time doing these things that gave you joy they are your things. The sad truth is he caught me at a time when I had lost much, lost my farm, my parents were dead, had no.children, had moved slot and had gone back to graduate school to work on a masters degree but ran out of money. Only had friends I met thru him and his family plus he changed jobs, moved 8 times in 3 years etc. then he went to prison for hitting me and breaking bones. I didn’t testify against him ticking off the local law I think. Gave him another chance to “be a good man”. I discarded after beleaguered a nice new best, ruined, and smeared with distortions n lies that left me paralyzed with shock. So alone. So you went to do your masters degree. You are smart intelligent. You have drive and ambition you know how to focus and achieve goals. This is great as goal setting and writing lists can really be your friend in healing and recovery. I apologize for the typos. Im using my cell phone not even a laptop! He built a whole other life with new instant friends & women & parties 6 blocks down the street in this town where I knew no one and came to.help him start over! I’ve been such a fool, shamed and degraded. They helped him, I could not believe it. Never met people like this. I’m 59, was 52 when I met him, healthy and working at the forest service. Looked in my 40′a and attractive, hard working and friendly. My God what I have been through. It’s sad but im still here and hanging on. How to endure this next bad legal part but then I’ll be free and my goal is to live in the country with my dog and horse peacefully. I want to write also. Thank you pontificating and any others your thoughts are most welcome. I’ve read everything on ur site even pulled up a chair and cup of tea for your personal story but when u reminded me just now I was so humbled because you write so remarkably well. You communicate so completely across time and space it is a phenomenal gift, considering how many are on this Web of the World! I’ve spent slot of my life trying to understand living things that do not speak but still communicate so I appreciate how much depth of thought and caring go into your words. Amazing that you could find ANYthing at all positive in my text but you did. Pain can’t reach me anymore but kindness can still, it breaks me open with hope. This must be the soft rain of God’s mercy…that grace that comes out of nowhere to heal us. I want heal so that I can help someday. Thank you for your kind words. You can heal and you can recover. Sometimes all that people need is HOPE. I know that things will get better for you. I want you to hang onto that thought ‘that he was lucky to have you’ you thought this before he was abusing you!! I want you to find this person again. This is still you. You are whole within yourself. Nobody can take you away even if it feels that way right now. You are welcome. You see already you have told me so many amazing things about you and yourself. Things that made you proud to be you. Your passions your goals your ambitions. These are all still within you. Yes he would have marred this but he cannot take these things away from you as they are the things that make your soul sing…they are your pride your dignity your self respect. They are the glow in your heart…. Can you see…. It is all still there…. Just that he took those joyful things away and turned your light into darkness. Somehow, today, the way this unfolded here on this site….I do see. I finally see that it’s still there and what kills me is that I thought he loved me for those very things. That finally, late in my life God sent me someone a little rough around the edges but who liked who I really was. I didn’t realize you also went thru that agoraphobia existential loneliness and disconnection, no job, afraid of people thing too on top of that desolation with your child and family.. It is truly beyond understanding isn’t it? What could we have ever done so wrong that this is happening?? Still I’d like to know at the very beginning where I made the mistakes, missed the cue, took a wrong turn. Need to know. Don’t think I’ll feel safe until I know. Everyone seems to find a new guy and bing it’s all better. I throw up if I even think about a new toad, er uh man! Yes absolutely I went through this. There are a few posts where I talk about this finding the person in the mirror is one. I couldn’t even face myself in the mirror I hated myself that much. You have done nothing wrong. You just met the wrong person. The person who you will be when you come the other side (and you will) will be stronger and wiser. You will learn to trust yourself (you knew in the beginning he was lucky to have you…. You could do Better but you listened to his stories and stayed with him anyway. You know secret of true happiness comes from within. When you have this nobody can ever take it away from you. It’s all within you. What you write in that last post about what makes my soul zinc and my eyes shine,…it all will take time. But oh how your words affected me. I will treasure and save them. Thank you. I hope you can get support from this site to realise that you are not alone. Once upon a time I wrote a message on a help forum. I didn’t expect anybody to reply or to be kind. And when I had replies at that time I was so isolated, it touched my heart someone listened to me… Not only listened they replied with warmth and kindness. I have never forgotten that. I also trained as a counsellor and worked with vulnerable people for more than 2 decades so I see the true words that are the essence of you behind the abuse. A brilliant post, and just what I need right now to help move on. I think I went through all the stages of mourning the relationship in the space of a few hours – his reaction to me discovering the truth about his marriage was so angry, I knew exactly who/what I was dealing with and went on the attack to warn others (not my most dignified week), but I think a few people have cut ties with him, then the shock set in. I’ve been working on my own recovery, but am stuck in a sort of dormant anger. This article has given me a more healthy way to look at things, thanks. Thank you so much!! I really needed to read this today. After 1 year of NC I found myself going over things in my head this week and was having a really bad day. I was separated for a year from my narcissist husband when I met my ex on a dating site. We were together for a year. He told me he was a Sgt in the British Army. Only later did I discover he was a corporal! Told me he had regular contact with his 5 year old Daughter. Then was told one story on top of another as to why he wasn’t seeing her. We spent every four days off together, mainly at my home or at the barracks if my children were away. It was like a whirlwind…Engaged, weddings rings purchased “specially made to order”, wedding date set for after my divorce. Was brilliant with my 2 children from my marriage. Towards the end I was trying to piece things together, writing in a journal, so many things didn’t add up. If ever there was an issue or problem it was my fault…he would say odd things or threatening things in a non threatening voice, i would second guess myself and relay things back to a therapist who i’d been seeing for PTSD…I asked her who i was dealing with? She said you need to contact the Domestic Violence team at the MET Police as he is a PSYCHOPATH. Then I found out I was pregnant due to my contraceptive failing because of stress related weight loss and being run down. It took me 2 days to tell him I was pregnant…He called me one evening as he hasn’t heard from me for 5 hours…he took the news well ( I didn’t want another child) and I was in denial about who he was!! Within the next 24 hours we had split for good all via txt message. Within the next week I was rushed into hospital for emergency surgery as I’d collapsed at home as had haemorrhaged…after coming out of critical care I was on blood transfusions. All the while he was back on the dating website (according to my sister) and a year later he’s still on there claiming to be a “Happy man who enjoys life”……. I have hope that I can heal from this however, it’s hard when you feel like you have loved and lost your best friend!! It’s my 40th in June…they say life begins, haha! !